Drive-In Double Feature: The Fog & Sleepaway Camp! The drive-in was already outdated by the time I was old enough to go to the movies without parental supervision but they came with the air of nostalgia that seems to complement each new generation as they come to age. The first thought that came to mind when I was trying to come up with a good drive-in double feature was horror movies. Horror encompassed a large part of the viewing habits in my youth and still does today. The film wasn’t a super obvious choice. The film wasn’t ‘so bad it’s good’. The film wasn’t something I had seen multiple times in the past five years. There isn’t anything wrong with picking any films that might fall into the above criteria, it’s just what I wanted to follow (my fourth requirement will come into play a little later). After many moons (or maybe a few hours), I finally settled on the 1980 version of The Fog and the 1983 classic Sleepaway Camp. ‘Now, wait a minute!’ horror aficionados around the globe scream in agony. Yes, The Fog was directed by John Carpenter, one of the most famous horror directors around and Sleepaway Camp is infamous in its own right. The reason I picked The Fog as an opener was mainly because while the director and cast are famous in horror, not a lot of people I know have actually seen it. I thought it might ring familiar with folks who knew Carpenter and his work but never got around the watching this one. It’s not as iconic as They Live, Halloween, Escape From New York, and a bevy of others but I think it still holds up as pretty damn creepy, especially by today’s standards. Starring Jamie Lee Curtis and Adrienne Barbeau (along with horror favorites Tom Atkins and Janet Leigh), it sets up with the classic horror trope of a large anniversary celebration in a quaint town. The pacing, music (a classic Carpenter score intercut with the usually wonderful plot device of a radio DJ broadcasting songs), and even the ghost sailors that show up at the end effectively make this 35-year old tribute to the ungraspable horror a solid choice that everyone should see. For similar reasons, I thought Sleepaway Camp was pretty well-known but not many have watched it. Sleepaway Camp begins as a normal summer camp horror with kids slowly getting picked off but there are strange flashbacks and an undertone that tells you something weird is coming. It’s the best of both worlds in terms of horror movie plots. Simple, classic set-up with a ‘twist’ of an ending. I won’t spoil it here but I hesitate to call it a twist as it bears no weight on the previous actions of the film after it is revealed. Shock value was a common theme in a lot of 80’s horror and this one might be the most famous. The film also leaves you with more questions than any kind of resolution and doesn’t exactly scream for a sequel (though there are several). I believe the masterful Carpenter execution of his lesser known work in The Fog and the ‘camp’ of the summer shocker Sleepaway Camp easily make for a fun double feature. Both films complement each other in interesting ways with lots left to talk about after viewing. My last and fourth requirement for choosing the right double feature was that you should be able to have fun while watching it. Going to the drive-in or watching movies on a friend’s roof with a projector usually means a lot of people. People that you want to hang out with, have drinks with, and not have to worry about missing any crucial plot points. The Fog and Sleepaway Camp accomplish this by not being very complicated yet still entertaining. Drive-ins are a great place to catch a classic movie and double features make it more fun. Even if it’s mostly people getting murdered. 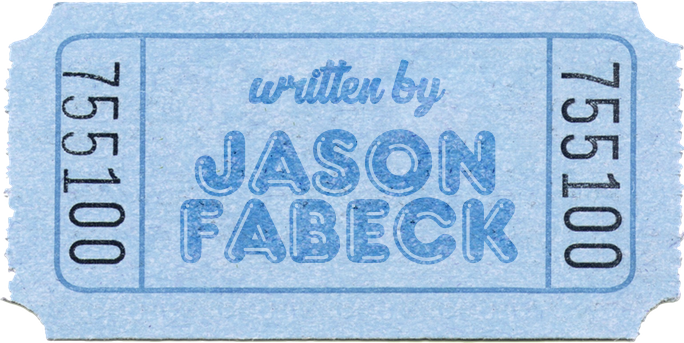 Jason Fabeck is a writer living in Chicago. He enjoys camping, cooking, and never putting away his laundry. He sometimes writes about movies and TV for The Addison Recorder. Previous PostI Love Practical Effects!Next PostBub Discovers New Music! These two work great together. Both are fun indeed. I can almost smell the popcorn. I just recently revisited The Fog. It holds up well. Sleepaway Camp is on my re-watch list. That ending terrified me and blew my mind whan I was a kid. These are two great choices. I saw Sleepaway on the big screen in about 15 years ago and it played quite well. I’ve only seen The Fog on home video releases, but I think both would play well to a drive-in crowd. They’re the right balance of fun and creepy.